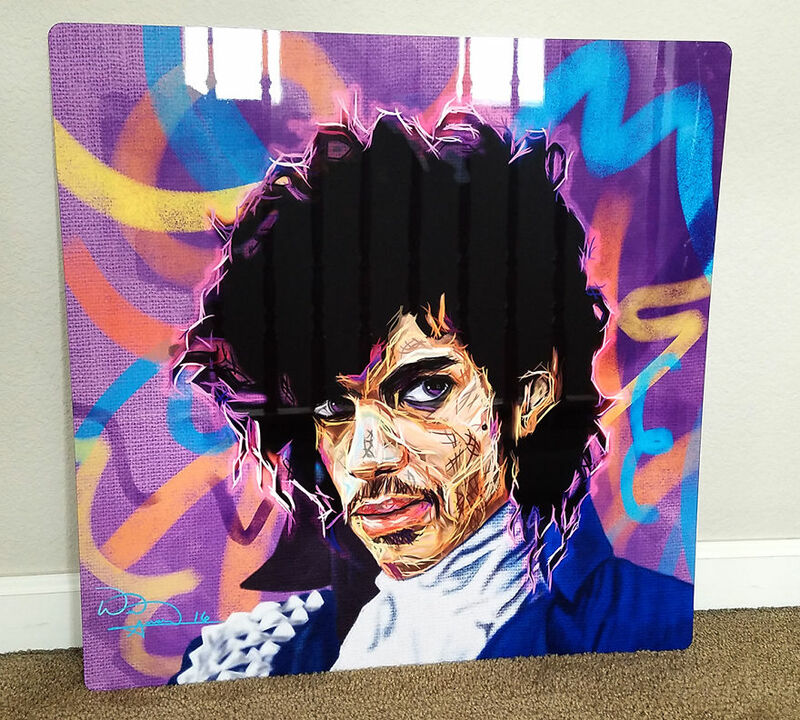 “Purple Enerflo” is by visual Artist name Tazmatic who has created his own form of Artistic expression, a technique called ‘EnerFlo’ the technique comes from the traditional medium/ illustrative technique called Scratch board which uses gold or silver etching colours. EnerFlo involves lines that mimics Scratch board etching but also shows energy along with a selection of colors to create the form of the subject. To learn more about this artist the artist is on instagram/facebook search @tazmatic618.